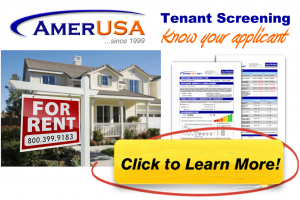 Tenant dog owners make up a significant percentage (over 30% – some sources claim) of renters in the United States. But don’t be too alarmed about the topic of this article, because it’s not an everyday occurrence. In fact, its very rare, but it has happened and when it does – it can be very costly to those landlords that are held liable for a tenant’s dog. The purpose of this article is to review the reasons why incidents occur so landlords can do their best to eliminate future risk without feeling unnecessarily compelled to refuse tenancy to all dog owners. He or she was previously aware the dog was dangerous and failed to force its removal from the rental. He or she was responsible for watching or caring for the dog at the time of the incident. So a landlord must actual knowledge that a tenant’s dog has injured someone before. A dog that simply likes to bark is not enough to evidence to suggest violent tendencies threatening. However, a dog that lunges forward at people on a leash in a vicious manner as if they are barely able to be restrained from attacking someone may be sufficient to demonstrate violent tendencies. Courts have ruled before that by leasing property to a tenant known to have a threatening dog, the landlords were partially responsible for introducing what is known as a “clear potential for injury.” See court cases Vigil ex rel. Vigil v. Payne, 725 P.2d 1155 (Colo. App. 1986).) and Strunk v. Zoltanski, 479 N.Y.S.2d 175, 468 N.E.2d 13 (1984). A landlord cannot simply ignore a known threat and leave the dog up to the responsible of the tenant. While it would seem an adult occupant should exercise caution and judgment, a landlord could be considered irresponsible by knowing of prior incidents that had involved the dog. One court in Alaska ruled a that one landlord had a “blatant disregard of its tenants’ safety” and allowed for even additional punitive damages to punish the landlord’s in action. See Alaskan Village v. Smalley ex rel. Smalley, 720 P.2d 945 (1986). Obviously, it wouldn’t be fair to blame a landlord for a dog he or she has no control over. For example, if a landlord has acquired a rental property with an existing lease executed by tenant that is known to have a vicious dog, the landlord probably does not have the power to demand the dog’s removal or threaten with eviction. However, if that same scenario was changed to a month-to-month lease, then the landlord would have the option (authority) not to renew before someone gets injured. See the case Holcomb v. Colonial Associates, LLC, 597 S.E.2d 710 (N.C. 2004) where in North Carolina, a court determined that a provision in a lease agreement gave a landlord the authority to require a tenant to remove two dogs (within 48 hours) that were known to be a nuisance or undesirable. The court cited that part of the lease gave the landlord control over the tenant’s two dogs that eventually attacked a visitor. This by no means relieves the tenant of any responsibility, it just adds the landlord into the mix. Whatever terms you choose to use – a landlord who watches, babysits, cares for, has custody of or harbors a tenant’s dog is usually treated just like the dog’s legal owner as far as courts are concerned. So during such a time where the landlord has possession (as long or as brief as it may be) the landlord would be viewed in the same capacity as the dog’s owner when it comes to being liable for any damage or injury that may occur. So in addition to the dog itself, the landlord in such instances should be concerned about the premises of where the dog is kept. For example, adequate fencing, gate locks, doors, windows, etc. Some things that may be fodder for future legal action against a landlord and their tenant should Fido fetch the neighbor’s child. Previous Previous post: Can You Increase a Security Deposit Later?